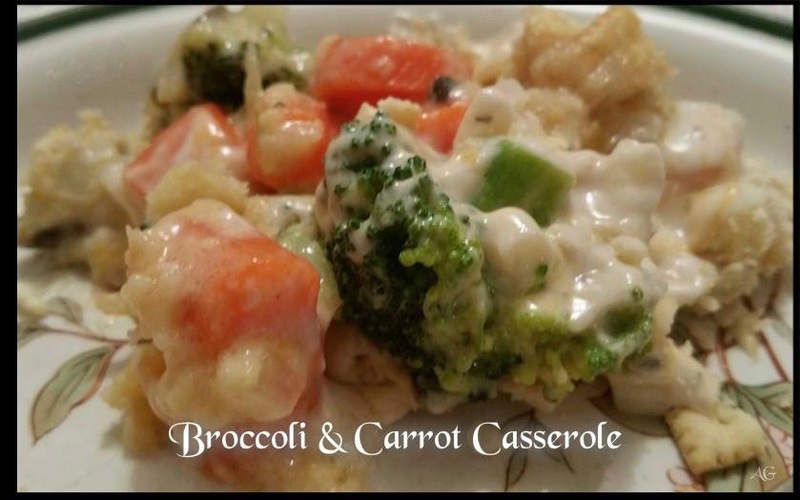 An easy to make veggie casserole that’s guaranteed to be a favorite! Fill a small saucepan 3/4 full of water and bring to a boil. Add broccoli and carrots and cook until crisp/tender about 3-4 minutes. Drain water and set aside. Combine onion, cream of mushroom soup, mayonnaise, and cheese. 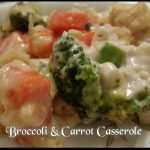 Pour melted butter into the bottom of a medium sized or square baking dish and place broccoli and carrots on top of butter. Spread mayonnaise and soup mixture over vegetables and top with crushed saltine crackers. Bake at 350 degrees F. for 30 minutes. Enjoy.